The Right Reverend David Konstant, the eighth Bishop of Leeds, has died aged 86. Originally from London, Bishop Konstant was born in Blackheath on June 16, 1930. He began his studies for the priesthood in 1948 and was ordained in 1954 before he went to read mathematics at Christ’s College, Cambridge. He graduated in 1958 and qualified as a teacher the following year after completing a postgraduate course. He came to the Diocese of Leeds in 1985 from the Diocese of Westminster, where he had been an assistant bishop from 1977. In May 2001, he suffered a stroke while in Lourdes, France, and never fully recovered. He retired in April 2004. 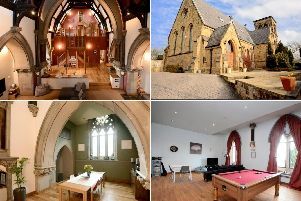 Following his retirement Bishop Konstant decided to stay in Yorkshire and took up residence in a small house in the grounds of Hinsley Hall, the diocesan pastoral centre in Headingley, Leeds. Here he was able to spend more time on his own interests including music, sports, new technology, gardening and cooking. Bishop of Leeds Marcus Stock said: “Bishop Konstant had a sharp intellect and was widely admired for his abilities. The arrangements for the Requiem Mass for Bishop Konstant are yet to be announced.